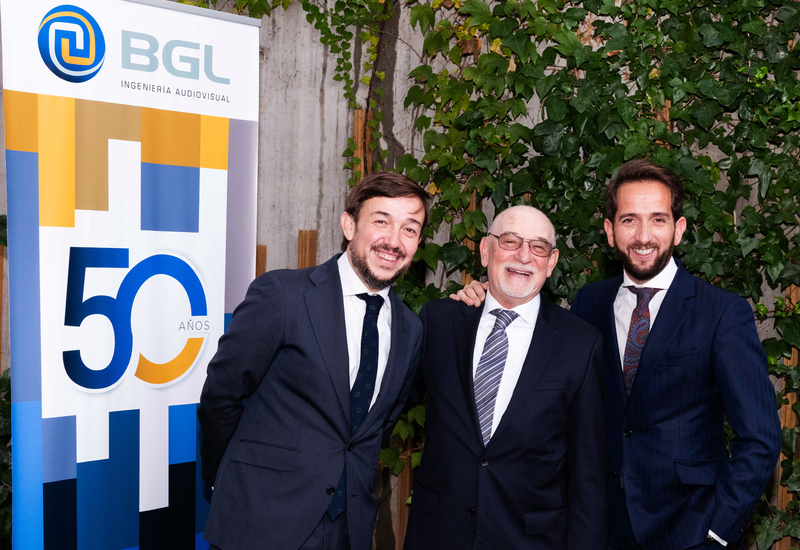 The company BGL, incorporated to Grupo Secuoya since 2014, has celebrated its 50th anniversary as a benchmark in the sector in which it operates. At an event held at the CaixaForum in Zaragoza and surrounded by his team, local personalities and the Steering Committee of Secuoya, led by Raúl Berdonés and Pablo Jimeno, its CEO, Ángel Gil took the opportunity to take stock of his career and thank customers , workers and suppliers all their support. Currently, BGL has undertaken 25 large international projects, has technologically equipped a total of 16 museums and exhibition spaces outside our borders and a total of 40 within Spain. BGL has left its mark, taking the Spain brand, to more than 18 countries, regularly making offers in more than six languages ​​and computing installations, in total, for more than 500 companies throughout its history. Since 1992, when they disembarked at the Seville Expo, BGL has worked in six international exhibitions: Lisbon (in 1998 and which marked the company’s first international campaign), Expo Zaragoza (2008), Yeosu (South Korea in 2012), Astana (Kazakhstan in 2017) and the next Dubai in 2020 in which the company is already working. 50 years of experience and all these decades of professionalism make BGL an exceptional partner, able to combine and synchronize audio, video, IT, AR, VR and control technologies that allow to undertake the most advanced and cutting-edge projects in its lines of business: Museums (museums, pavilions, expo, temporary exhibitions), Corporate (Brand experience centers, Theaters, Auditoriums, Congress Centers, …), Services (Outsourcing, TV-Subtitling Accessibility) and Broadcast (Television and Mobile Units) ). The act also revealed its mission to continue working in the same line and the goal of expanding into more markets. “We are not focused on a very specific sector, but in a nebula which means that we have to constantly be aware of the changes to offer the most innovative solutions possible”. During the event, Pablo Jimeno, CEO of Grupo Secuoya, highlighted BGL’s ability to adapt to changes and “to transform everything it does into something special”. As a balance of these years in which BGL has been integrated into the company, Jimeno stressed that the result of this union “have been projects of all kinds such as the start-up of Secuoya Studios, which, among others, has been chosen by Netflix as a hall of production, “he concluded.